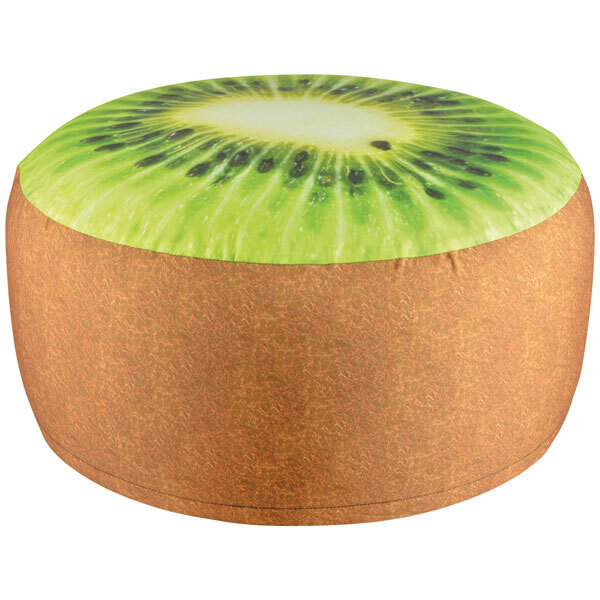 Versatile foot stool for outdoor or indoor use. Waterproof. Stores easily when not in use. Just deflate when not needed and then inflate when you want to use it. Polyester and PCV. 13" high x 23" diameter.